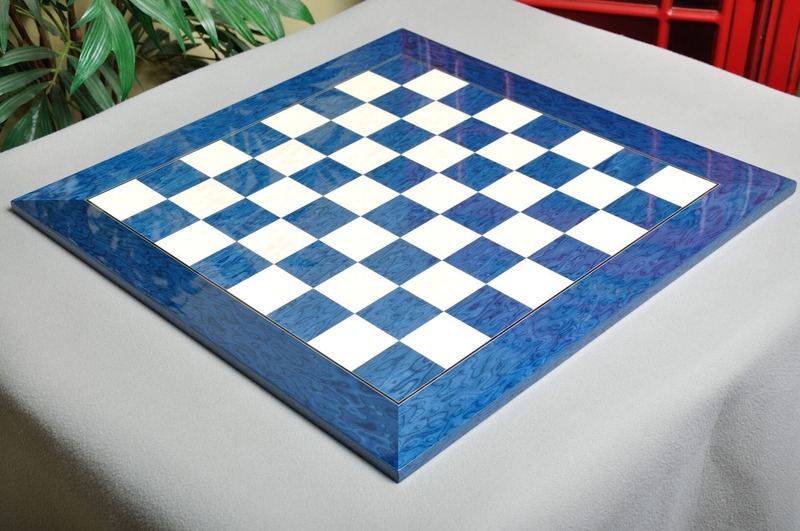 Crafted in Spain, the House of Staunton Standard Traditional Bluewood / Bird's Eye Maple Wooden Chessboard - Gloss Finish features Bluewood (dark) and Bird's Eye Maple (light) squares with a Bluewood frame. 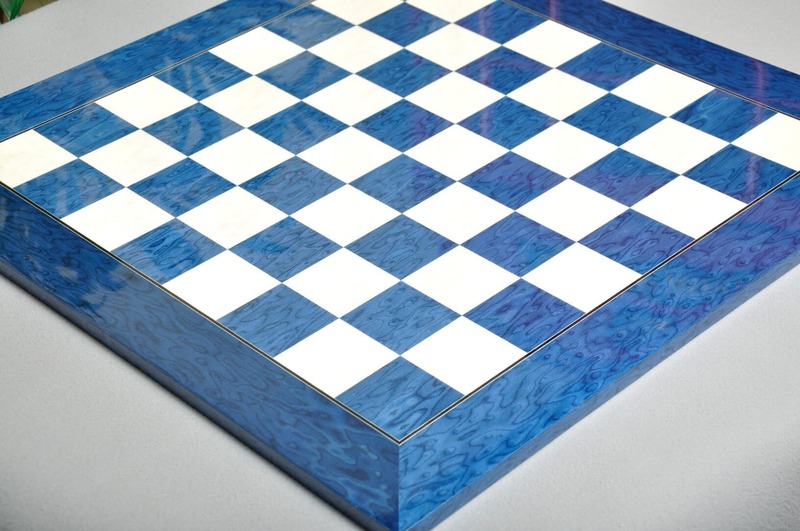 This veneered Chessboard is 0.5" thick and has a gloss finish. 2.0" Squares have a board dimension of 20" x 20"
2.25" Squares have a board dimension of 22.5" x 22.5"